It takes a long time to get old. But as soon as we feel as if we’re old, we tend to believe that it took no time at all, don’t we? Many believe that “old” is really all about how you feel. If you live life each day with a sense of excitement and joy, you can still be considered “young”. It’s all about being “young at heart”, right? Then again, there are others who believe that the concept of age is all based on how we look. For those who experience the signs of aging – no matter what your age is – it’s fair to say that feeling “young” is a little bit harder to do. It’s not uncommon to live with a desire to revisit our youth, even if it’s just around the eyes a little bit. In other words, the signs of aging are often what remind us of how many years have passed. And the truth is we should all be proud of those years! We just don’t necessarily have to show it off to everybody. Sadly, for some people, that means going under the knife. I’m not exactly sure why people would want to willingly cut their faces open, but it clearly represents an undying need to do away with wrinkles, frown lines, laugh lines and other signs that one is getting on in years. There is a much safer way to look younger. 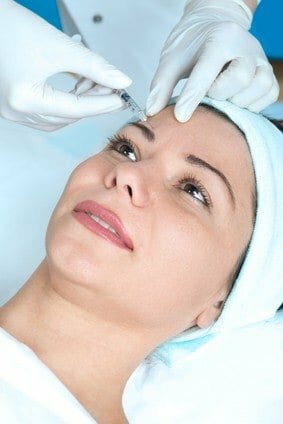 Botox injections provide patients with a much safer way to do away with the aforementioned signs of aging. Not only is it safer, but the general outcome of Botox done right is the presentation of a much more natural look. Some fear that Botox injections actually result in a stretched, plastic look that is usually associated with facelifts. The truth is that Botox is a prescription medicine that relaxes the muscles that it is injected into. If too much of the medicine is injected into the wrong muscles, it could present an unevenness and an unnatural look. Sadly, this has happened when unlicensed practitioners take it upon themselves to inject Botox into unsuspecting patients. It must be reiterated that allowing this to happen is a definite no-no. 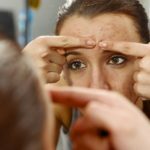 does a good job of explaining just how important it is to get a licensed doctor to administer Botox. Experienced doctors, it should be clarified, have the ability to inject Botox the right way. Botox done right can give miraculous results. Smoother, more youthful skin is achieved when the muscles are properly relaxed so that the skin is not springing back into its wrinkled state. 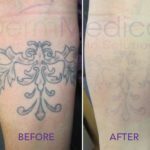 If you’d like an example of how Botox done right can make a difference, check out this YouTube video. You will notice that not only are Botox injections safe, but treatments can be done quite quickly and easily. Of course, everyone is different. And therefore, one’s problem areas won’t be the same as everyone else’s. The most important step to take in looking years younger is to consult a professional. Once you’ve learned about the benefits of Botox and are comfortable with going through with the treatments, you’ll be in a much better position to receive them. Having trepidation is normal. But there’s nothing normal about having someone who is not a doctor treat you. Put your fears to rest and contact DermMedica toll free at 1-866-861-3070, or if you are in Kelowna, call 250-868-3070.